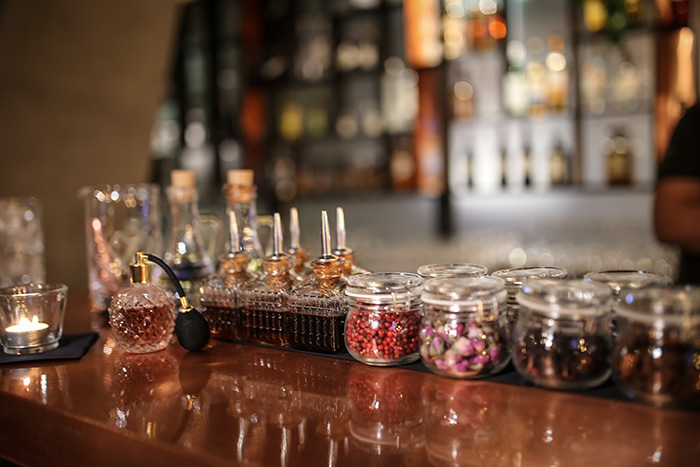 The third bar in Zagreb, which links the same slogan, is officially opened this Saturday at Veslowa 17, in a new building looks like a luxury cruise ship that fished near Hendrix Bridge on Sava. Therefore, the owner has decided to arrange the interior according to the architectural solution so guests enjoy more than the 20 Illy coffee, smoothie, gin, cocktail or glass of wine from the soured wine bar at the bar you will see in the brochures of MSC or Coste ships. Well again, u egoist you feel comfortable and relaxed. The interior of the space is carefully thought out and it can be used as a space for business events or presentations, and part of the bar can in a short time become a small stage with dance space, which is attributed to architect Ana Popović Vujović. At the opening of the terrace, they performed music jazz standards in the performance of the Quartet of Valerija Nikolovska, and the celebration continued with an excellent band with Majami Bajamić. 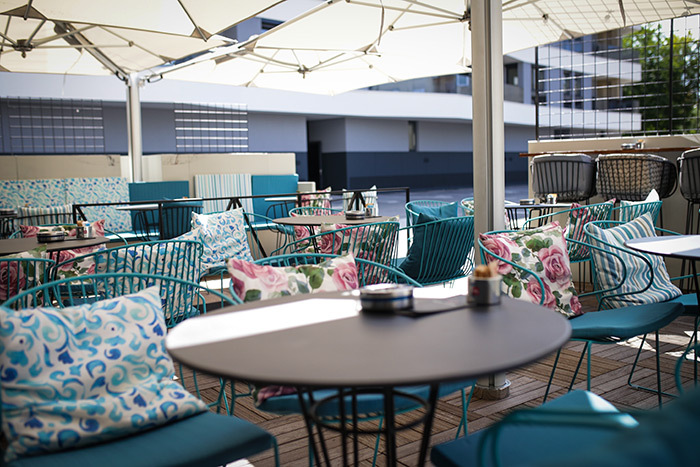 Hidden from the sun-protected street, there is a terrace whose chairs feature charming flower pattern cushions, and for larger companies there is a VIP corner with a romantic fireplace in the middle of the table. Apart from being more than twenty years old, Mr. Drazen Biljan is a successful hostess, he is also known for his humanitarian work through actions of a simple name I got herc, most often for sick children, and this time they did not forget about the kids and kids and brought them to the guest of the magician, organized facepainting and a balloon party. 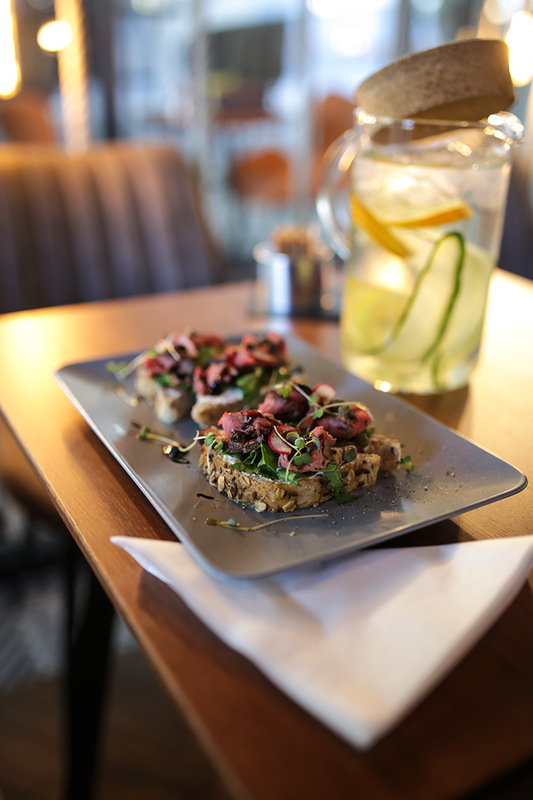 In addition to the offer provided by Egoist guests at Jarun and City Center One West, you can also eat here brunch in the form of open Danish versions Bruschetta. Interesting combinations of northern sea fish, tuna, meat or humus, wrapped in acidic roasted bread (for Egoist, in particular, they prepare a pie in Zagreb sheath) - Must be coated with butter to make this tapas call smørrebrød - are supplemented with prawns and spices. Roast beef enriched with horseradish and sour cream with a pile of salad or salmon with mascarpone, dill, herb and a couple of drops of excellent olive oil are just perfect buns with a glass of wine. Vegan is available naked sandwich with humus and tapenade of black olives, and also offer sweet or salty vafli. Our favored vafl with cheddar and ham after which and drinking in a chilled glass is more beautiful sitting. Before you go to some of the nearby rock clubs, be sure to try Old Pilot's Gin: Domestic premium gin produced by two former military pilots in a small distillery of the sympathetic name Spirit in the bottle. Hrvoje Bušić and Tomislav Anadolac produce gin of ingredients from Croatian fields and mountains, so you can feel the lavender lavender, Velebit sage, blueberry from Otočac, opuscene orange and olive leaf on Biokovo on the palate. After your gin, you even drink a glass (before) the other day will not hurt your head anymore - this is proof that you spent the evening with quality gin in the company of good friends. The best invitation is the photo gallery of the opening - so if you missed it, nothing scary because egoist have plans for new events and performances soon - so stay tuned!